Contemporary architects are exploring building design in ways that many could never have imagined just a few decades ago. Standing in stark contrast to the industrial-modernism of the 20th century, contemporary buildings resemble artistic masterpieces. In addition to exploring new styles, architects today are infusing their projects with the latest technology and building techniques, including the use of materials that are friendlier to the environment. Architects are also developing innovative new ways of utilizing space. Aside from the exquisite skyscrapers dotting the skylines of today’s expanding cities, other, more practical building designs have also incorporated this contemporary aesthetic. Architects are infusing residential buildings, commercial buildings, office buildings, museums, and schools with new approaches to both aesthetic and function. One feature that has reached the forefront of the field is glass, and glass windows, specifically. If you look at any city skyline, you’ll see an abundance of windows and pure glass structures. Glass is and has been the mode of choice for buildings large and small. Whether buildings are constructed with glass windows or expansive glass panels, such structures are difficult to ignore. Glass provides occupants with unparalleled views. It also allows abundant natural light to enter a building, which is ideal for creating a positive atmosphere inside. But glass also presents its own challenges and opportunities. New technology and building techniques have begun to address energy-efficiency, as standards for efficiency and sustainability continue to increase. But in terms of aesthetic, glass presents an opportunity for innovative decoration and design. 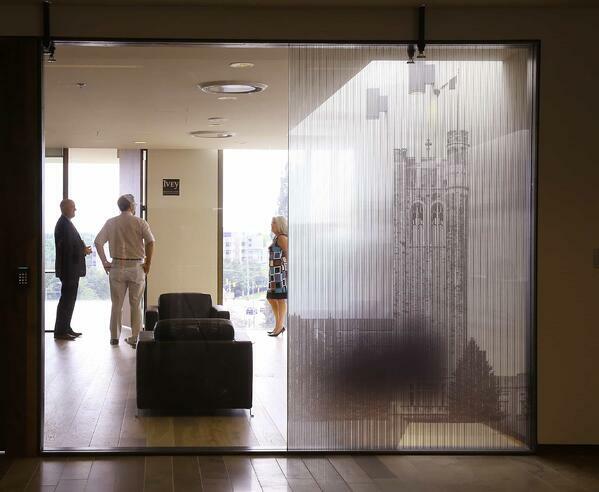 Architectural window films are ideal solutions for any building that incorporates glass. On windows, such films can filter out harmful UV light and even obstruct the view from specific angles. They’re less costly to buy and maintain than blinds and curtains, and they are ideal for creating a modern aesthetic in any building. Today, there are several useful features of window films that can be applied to a broad range of buildings. Six features of note are scratch resistance, optically clear materials, permanent and semi-permanent films, UV blocking, colored and stylized films, and films made with materials that are friendlier to the environment. Minor scratches can damage a glass window or pane, interfering with clarity and beauty. Scratch-resistant films protect valuable glass panels and windows from the wear and tear of daily life. They’re especially useful in high-traffic areas such as offices, retail stores, restaurants, and anywhere else there might be moving people or objects. Many films offer scratch resistance in combination with other features, like color, UV blocking, and optical clarity. It provides a modicum of practicality to aesthetic decisions being made during a building’s design. Optically clear materials can be used to create both colored and translucent window films. This feature is applicable for interior glass and is a common feature in most of today’s window films. For example, many of today’s office spaces use an open-office format. 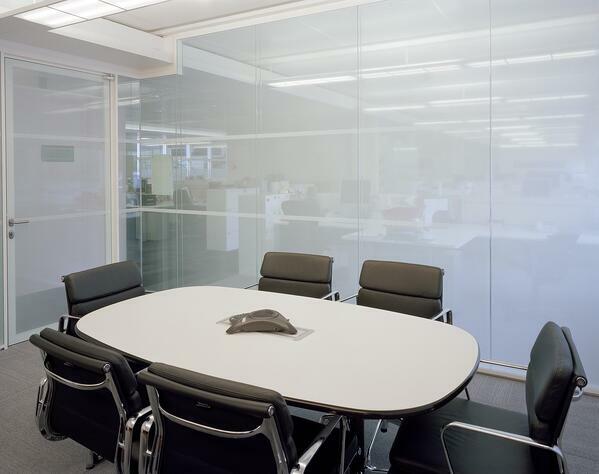 However, conference rooms and executive offices may be sectioned off by glass walls, panels, or dividers. Window films made with optically clear materials enable certain levels of light to transfer through the glass, so more areas of the building can gain exposure. Window films can come with permanent and removable adhesives, making them ideal for long-term installations, semi-permanent projects, and pop-up displays. Other features are also available with removable and permanent window films, including color and optical clarity. Films are available that use no adhesive, instead relying on static cling to remain in place. These are ideal for short-term retail displays or temporary overlay solutions. UV blocking window films are ideal for offices, retail stores, residences, and any building that contains windows that face direct sunlight. UV blocking films can partially protect furniture, carpets, and individuals inside the building from harmful UV light. When designing a building, architects can include UV blocking film in critical areas. UV blocking does not need to include tints, colors, or other patterns, although these choices are available. Colors, patterns, images, and other visuals can be printed directly onto window films to meet client specifications and enhance the aesthetic of any building. This is truly where ingenuity and practicality meet hand in hand. Contemporary building designs that contain large quantities of glass windows are ideal canvases for colored films. Glass can be transformed into an enticing display, rendering images to the public that elicit attention. As the environmental impact of buildings is becoming more apparent, more and more architects are looking for more sustainable modes of construction, maintenance, and operation when designing new buildings. Of course, one of the key elements of this movement is the sourcing of materials that are friendlier to the environment. If current trends continue, more and more contemporary buildings will incorporate environmentally-friendlier materials in their makeup. Such materials will exist alongside other green initiatives, such as efficient energy use, waste reduction, pollution reduction, and the use of non-toxic materials. 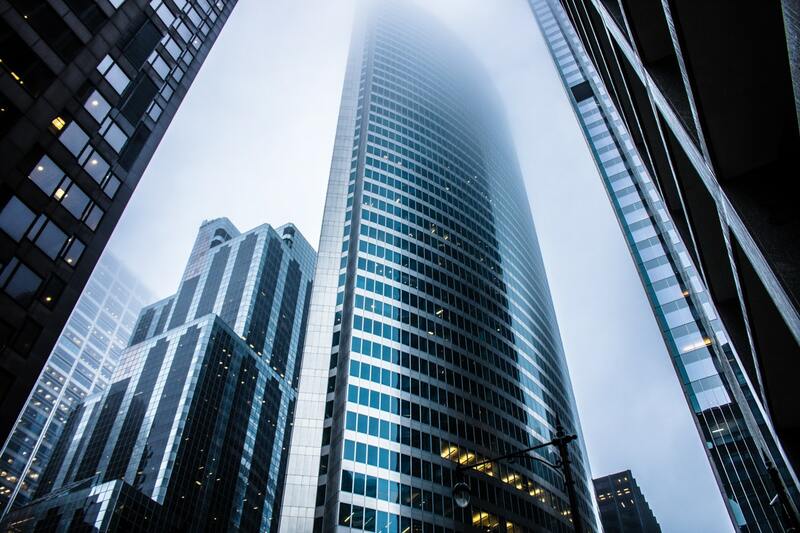 According to the United States Green Building Council (USGBC), Leadership in Energy and Environmental Design (LEED) certifications represented 4.7% of the total number of commercial office buildings across the 30 largest U.S. office markets. Green building initiatives have also made inroads in the residential sector and in building renovation practices. Non-PVC window film is just one material that can be included as part of today’s building practices. It provides the same high-definition detail of other types of window film. Green building is expected to expand, as it has been a major driver of economic growth in recent years. Challenges for buildings to reach “carbon zero” as well as competition for highly marketable green certifications will also spur growth. Non-PVC window films are ideal for any area where people congregate, such as offices, schools, museums, or public buildings. Architects who intend to obtain LEED certification for their building should consider non-PVC products. Architectural window films have numerous applications in many settings. They’re ideal for projects involving offices, residences, retail stores, schools, public buildings, and even large high rises in cities. They can be used on windows and other glass configurations, such as walls, partitions, screens, and doors. Window films are often associated with branding and advertising, but they have many other practical and aesthetic applications. For example, they can be used to block UV rays in office buildings and retail stores and to enhance the privacy of study and breakout areas in public libraries and schools. They can even be used to create optical illusions. The applications for these films are only limited by the imagination of the architect, designer, or building owner applying them. 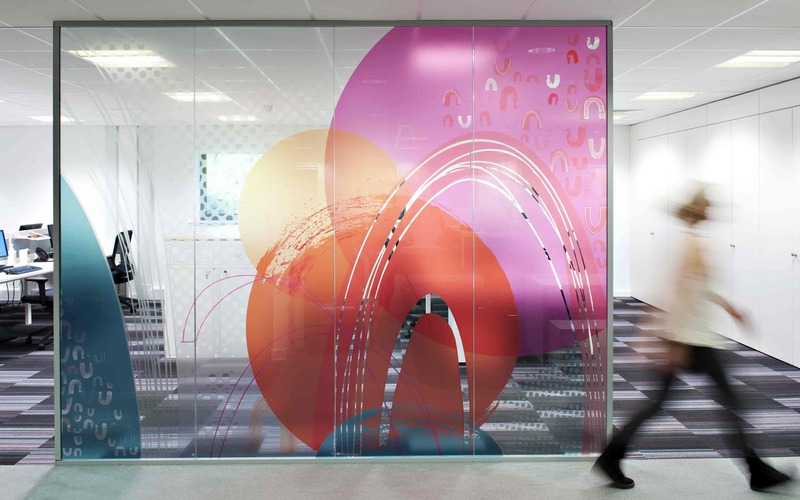 Many of today’s window films can be printed with exciting graphics using UV curable printing. UV curable printing technology is becoming a must-have for in the large format printing industry. As the inks dry almost instantly, they can help printers increase productivity. As the price of office space continues to rise, businesses are seeking simple solutions to keep their costs low. This often involves renting open offices where several employees can work in a single space instead of paying a premium for separate offices. While the open office format has benefits, it also presents several challenges, especially around privacy. Architects and building designers can use glass panels and separators to create conference rooms and semi-private workstations. Privacy within these spaces can be enhanced using window films. These can include color, frosting, branding elements, intricate designs, and practically anything else the office manager can dream of. Access to natural light is widely known to be beneficial to employees. For outward facing windows, window films offer practical solutions for privacy, UV protection, and branding. Optically clear, UV blocking films protect the inside of a building from harmful UV rays while allowing light to transfer throughout the office space. Landlords and architects can enhance their contemporary apartment buildings and condominiums with window films that add color, style, and privacy. Placing permanent and semi-permanent films on windows is a great way to provide tenants with more privacy and increase the value of residential units. Residents will also appreciate an added layer of protection from UV light. Protecting products from harsh sunlight is a challenge in retail establishments with large store windows. However, with the right window films, store owners can encourage window shopping without risking their products. Such films can also be used to create private fitting rooms, to secure employee areas, and to add a level of security to other sensitive zones. 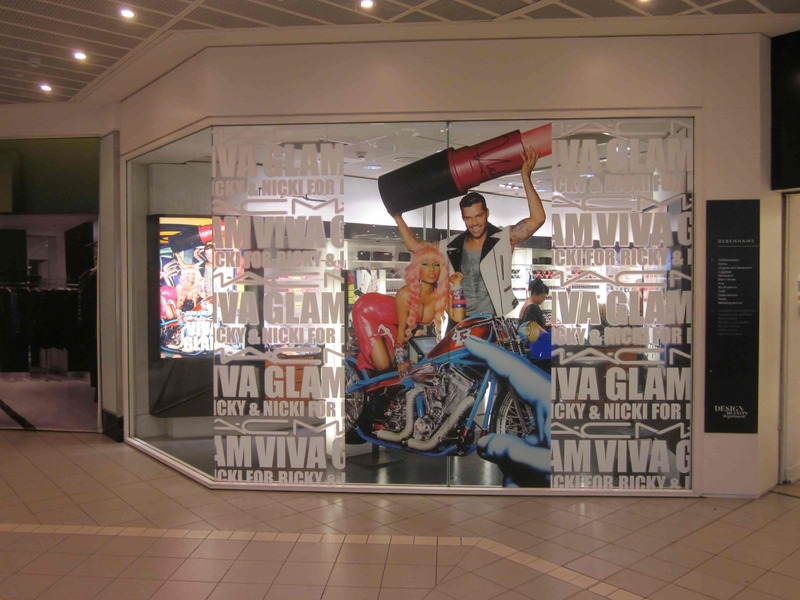 But aside from the practical applications, window films are ideal for front-of-store advertising and branding. Store owners can create optical illusions, advertise new products, and create enticing window displays with the right selection of films. Today’s architects are designing contemporary schools to include new technology, green building practices, and daylighting techniques. Incorporating window designs that include UV protection and the natural transfer of light is a powerful way to enhance the interiors of grade schools, high schools, as well as colleges and universities. In school libraries, window films are ideal for creating breakout spaces, study rooms, and conference rooms. Schools can use their own colors or use frosted glass to create privacy. UV blocking is ideal for reducing the amount of solar energy entering lecture halls, libraries, and even dormitories. Window films are often associated with private, commercial, and residential buildings. However, government agencies, municipalities, and public organizations can all use architectural window films in their buildings to enjoy the same benefits as any other organization. For example, public libraries would greatly benefit from UV blocking window films. Such films would protect the library’s books from harmful UV rays while allowing natural light to transfer through the stacks. Government agencies can use window films to brand glass doors and window with their logo, create privacy, and enhance the space for their workers. Nothing is more iconic of contemporary building design than the modern high rise. While these urban giants have graced the skylines of our cities for decades, today’s towers are wonders of engineering that include the latest in technology and design. High rises may be home to hotels, offices, and residences, but they all have much to gain by installing practical and attractive window films. In large buildings, energy efficiency is a top concern, especially given the new green building initiative. Glass continues to be a popular medium in the construction of high rise buildings. The applications of UV blocking window films can help to alleviate the transfer of UV rays over such wide surface areas. Window films are also useful for tinting, shading, and reducing the more harmful effects of sunlight, such as fading effects on carpets and furniture. Since tall buildings have a monopoly on the sun, installing UV blocking window film is an ideal alternative to relying on blinds and curtains. Window films enable occupants to enjoy natural light without as many drawbacks. Such films are ideal for any high rise, whether it is commercial, residential, or public. Most architectural window films can be printed and installed to meet the exact specifications of the architect or building owner. It’s best to work with printers and installers who are accredited by the producer of the window film. This ensures that you’ll receive the best quality product and a reliable installation the first time. When it comes to designs, the possibilities are almost limitless. Using large format printers, you can create window film designs of varying colors and tints, including frosted films, optically clear films, permanent films, and temporary films. As today’s architects continue to explore more innovative, sustainable, and aesthetically unique building designs, architectural window films can play a significant role in helping them achieve their goals. With so many materials now on the market, and with printing technologies continuing to expand, window films offer a world of possibility for contemporary building design. 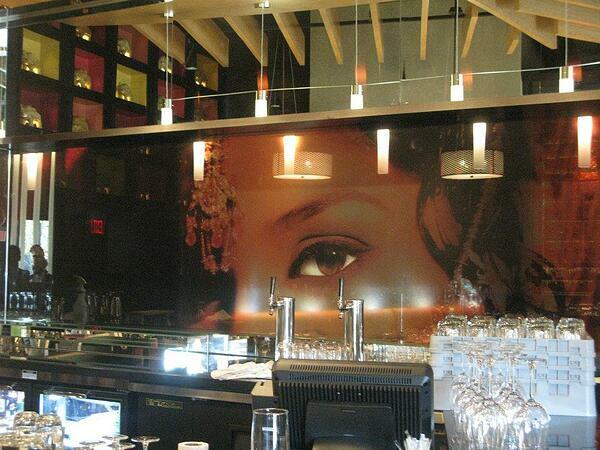 LINTEC Digital Window Graphics capture a sense of drama and style, bringing a space to life. Windows, doors, and glass walls can be enhanced for maximum illusion using our optically clear window film. Established in 1934, LINTEC is a comprehensive manufacturer of adhesive-related materials. LINTEC has a diverse lineup of products, including adhesive papers and films for seals and labels, adhesive outdoor signs, interior finishing mounting sheets, automobile-use adhesive products, semiconductor-related tape, LCD-related adhesive products, and window films that can be printed on large-format digital printers. LINTEC is currently based in 15 different countries.